No matter how positive your attitude, the holiday season is rough when you have a child with autism. Ads showing happy children gleefully opening and playing with age-appropriate toys, surrounded by beaming family members, is a reminder that things are different for your child. Every shopping venue blasting holiday music, every line of kids waiting for Santa's lap, every party invitation, and every Facebook ad for a holiday event "for kids" can feel like a punch in the gut. No one wants to exclude you or your child. But until recently, for most people (family included), a child with autism is a mystery. What does he need? What does she want? Why won't she join in, come play, enjoy this new food? Fortunately, for those of us with autism in the family, though, our numbers (and financial worth) are now significant enough to warrant attention. Retailers, malls, performance venues, and even some restaurants are starting to seriously consider the needs of people with autism (and others with related issues such as sensory dysfunction). As a result, they are creating autism-friendly and/or "sensory-friendly" hours and events to make it easier for families to get out and enjoy the season. If you're hoping for a magical Christmas experience (and photo) with Santa for your autistic child, check into Caring Santa at Simon Malls across the US. According to Autism Speaks, partnering with Simon Property Group, Inc. and the Noerr Programs Corporation in association with AbilityPath!, "Caring Santa is an opportunity to connect with multitudes of families that have children with autism and other special needs, providing a more controlled and welcoming environment to visit Noerr’s Santa Photo Experience!" This is a reservation-based program, so call ahead. Sensory Santa is a little less commercial than Caring Santa—and he seems to be showing up at venues across the United States and Australia (and most likely in other locations as well). Eden Prairie Minnesota, Boise Idaho, and Queensland Australia are just three such venues. Search online for a local event—and if you don't find "sensory Santa," try "sensitive Santa" who seems to be a close relation! Yes, this is the Macy's where the Miracle on 34th Street takes place, which may be why they partnered with Autism Speaks for a special autism-friendly event. Autistic kids were invited to come before the official store opening, making the event quieter, less crowded, and less stressful. It's not clear whether or when this will happen again—but give them a call and ask! A non-profit group called Quiet Santa says their "controlled, low-stimulus event offers children and their families an opportunity to visit with Santa in a quiet setting, away from the mall, lights, and loud noises." This sounds like a terrific program; you can see photos and read more about it on the Madison City Moms Blog. Santa America is a non-profit that trains Santa portrayers to work with people with special needs. They can train your local Santa portrayer, or send a member of their organization to your venue. They charge no fee. Not surprisingly, non-profits and arts organizations tend to be more autism-aware than most for-profit businesses. That's probably why a huge range of sensory-friendly Christmas productions have popped up in recent years. But some corporations are also reaching out to make entertainment more accessible for people on the spectrum; AMC theaters have been providing sensory friendly first-run movie nights for years! There is no live show so quintessentially Christmassy than The Nutcracker—but sitting still and quiet through a full-length ballet can be challenging for any kid. For parents of kids with autism, the idea of attending a ballet can be off-the-charts crazy. But ballet companies across the US and beyond are absolutely dedicated to the idea that ballet and autism CAN mix—and they've created shorter, more sensory-friendly versions of the ballet to entice families to give it a try. The world famous Rockettes of Radio City Music Hall are making their Christmas Spectacular autism-friendly for one night only. The event is actually at the Hobby Center (not Radio City Music Hall). Here's what they say, "The world's most famous precision dance troupe, the Rockettes, will take you on a magical journey from Houston to New York City to the North Pole! Spectacular sets, costumes and special effects will transform the Hobby Center into a winter wonderland. Share in the joy with Santa, the Nutcracker, and the unforgettable Living Nativity." 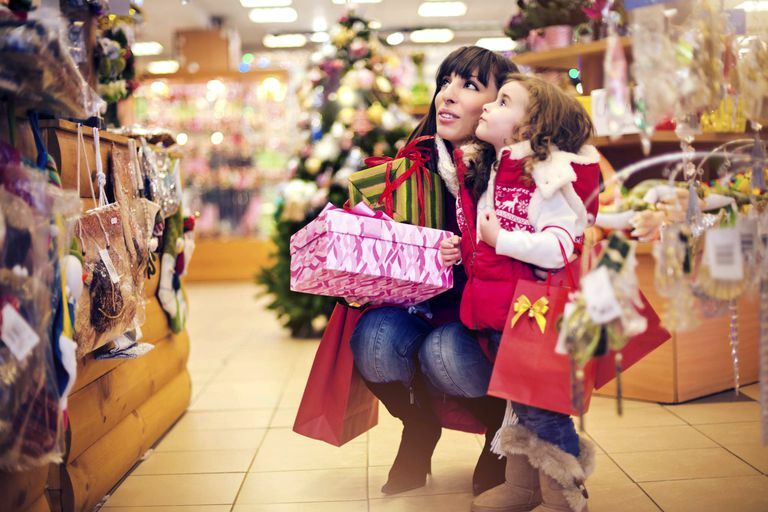 Holiday shopping is notorious for crowds, noise, and frustration—especially when you're shopping for anything kid-related. In other words, it's about as autism UN-friendly as anything could possibly be. But the experience of sitting on Santa's lap, looking at glittering Christmas decorations, and picking presents for friends and family have become major holiday happenings for many families. As of November 2016, Toys "R" Us stores in the UK are making one hour each day a "sensory friendly" hour. They're turning off the music, turning down the lights, and creating "quiet zones" where families can escape if children are having a tough time. According to Toys "R" Us marketing director Mike Coogan, "Making slight adjustments to stores and creating a quiet shopping period allows children and young adults to experience the fun in a toy shop, regardless of their disability." It will also, of course, be a gift to older adults as well! At present, sensory friendly hours are only available in the UK. Hopefully, popular demand will push the corporation to expand to the United States, Canada, and other countries. intu Braehead, a shopping center in Glasgow, Scotland, has provided its entire staff with autism training. According to the Scottish Autism website, "Staff at intu Braehead in Glasgow have been given specialist training by Scottish Autism to make the shopping experience more comfortable for people with autism...Retailers participated by turning off music and any flashing lights to create a quieter and calmer atmosphere in the center and make the environment less overwhelming for people with autism." The Leominster Autism Project says, "We are pleased to announce that The Mall at Whitney Field is partnering with the City of Leominster as they become the first truly "autism -friendly" city in the world." According to their website, "The mall is preparing to host several sensory friendly events as well as sensory friendly shopping nights where participating stores will be asked to dim their lights and lower their music so that our differently-abled shoppers may enjoy a more comfortable shopping environment." If you don't happen to live within a quick drive of autism or sensory-friendly holiday happenings—or they are taking place at times that don't work for you—what can you do? As mentioned, the autism community has grown, which means that you (and your friends with autistic children) are starting to have some power to make change. Collaborate with autism support organizations in your area to create or bring a program in. While it may be tough to create something for one or two families, the power of numbers can make all the difference. Tell a shopping center or performing venue that you can guarantee a full house for a sensory-friendly event and chances are they will work hard to make it happen! Work with smaller organizations to create sensory-friendly opportunities. It may not be possible to get the Chicago Ballet to go autism-friendly (though who knows? they may be willing! )—but it's very likely that your local ballet school would be delighted to invite autistic audience members to their version of the Nutcracker! Create your own events. Consider getting some Santa training from Santa America, write a social story, find a large space, decorate it, and send out invitations via support groups and Facebook. Voila, you've created an autism-friendly Christmas event. Consider hosting a non-live event. Many kids with autism, even those who have a hard time with malls and theaters, are able to attend events like a half-hour big-screen presentation of "How the Grinch Stole Christmas" along with cocoa and cookies. Events like this are easy to put together and cost very little to create. NOTE: Many so-called autism-friendly and sensory-friendly events, while they are intended to be fully inclusive, are not. Yes, many people with autism do benefit significantly from quieter, shorter, less formal, less crowded versions of typical experiences. But a large percentage of people with autism are not able to participate because of severe behavioral and/or cognitive challenges that make such experiences inaccessible despite the best efforts of community members.